Thus far, U.S. Senator Kamala Harris (D-Calif.) has raised $13.2 million—the second largest haul of any presidential candidate. But while a majority of that money has come from contributions of less than $100, Hollywood appears to have a love affair with the former California Attorney General too. 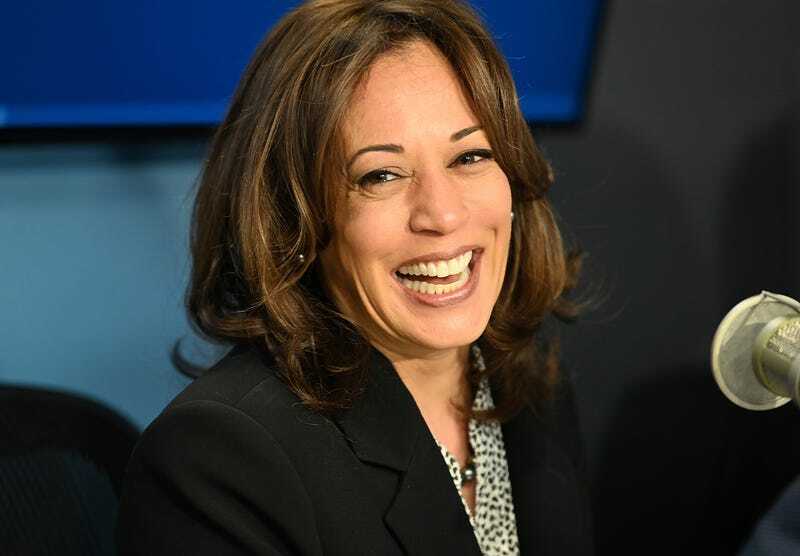 The Los Angeles Times reports that luminaries such as directors Stephen Spielberg and J.J. Abrams, actress Eva Longoria Baston, and plenty of other heavy hitters have cut the check to support Harris’ bid for presidency. Actors and actresses who wrote checks to the Harris campaign during the first three months of the year included Ben Affleck, who gave $2,800; Elizabeth Banks, who donated $5,600; Eva Longoria Baston, who donated $5,400; Alison Pill, who donated $360; Wanda Sykes, who donated $500; Lily Tomlin, who donated $525; and America Ferrera, who donated $250. Filmmakers and studio executives were similarly supportive of Harris’ presidential bid: Filmmakers J.J. Abrams and Lee Daniels wrote Harris checks of $2,800 and $2,700, respectively. Hollywood fundraiser Jeffrey Katzenberg gave $2,800 to Harris, and former Fox Television Group Chairman Gary Newman gave $2,700. Harris has done a masterful job of reeling in both traditional contributions and celebrity support for her campaign. While holding statewide office in California, she was strategic in courting donors in Hollywood and has only amplified her efforts since beginning her campaign. As Politico notes, in February she made a pit stop in Los Angeles for events with David Cooley, CEO and founder of Abbey nightclub, and NBCUniversal Film and Entertainment Group chairman Jeff Shell. In March, she doubled back for another event hosted by actress Katie McGrath. Presidential Hopeful Kamala Harris Released Her Tax Documents. Trump Still Hasn&apos;t.